Valley Fever is a lung infection caused a fungus in the soil here in Arizona. People get it by breathing in Valley Fever spores in the air. Most people will have no symptoms or recover after a few weeks of flu-like symptoms – cough, fatigue, and fever. About 6% of people will end up with a serious pneumonia or an infection of the brain, skin, joints or bone. These folks will need antifungal treatment, sometimes for life, and may need to be hospitalized or have surgery. 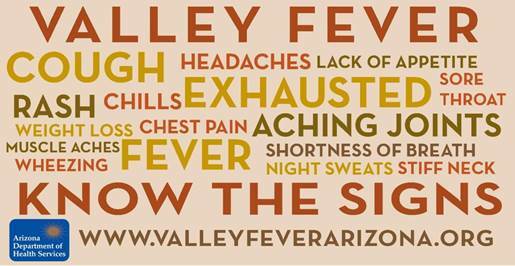 The first or second week of November each year is Valley Fever Awareness Week, which started this year on Saturday, November 9th. 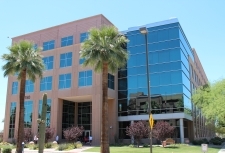 For more than a decade now, we’ve been working closely with the Valley Fever Center for Excellence at the U of A to promote awareness about this disease during Valley Fever Awareness Week and throughout the year. The Center held a free training for doctors at St. Joseph’s Hospital on October 26th. A free public event with talks by scientific experts and doctors will be held at U of A this Saturday, November 17th. More than 1,000 people were hospitalized with Valley Fever in 2012. Charges for these hospitalizations were more than $68 million. Over the last 10 years, charges for Valley Fever hospitalizations have increased and totaled more than $650 million. 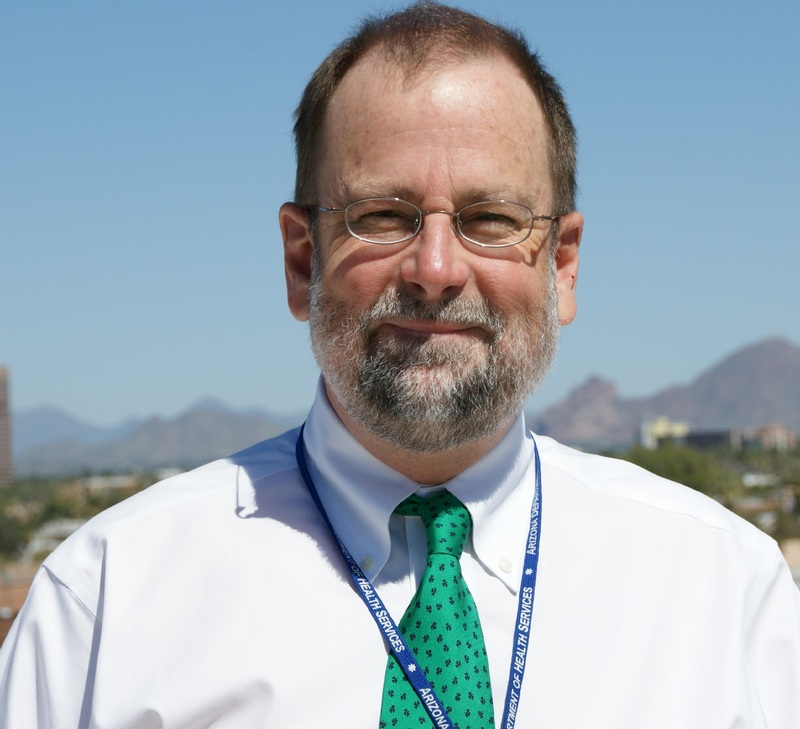 A special investigation on how Valley Fever affects Arizonans under 25 years old found that most were sick for at least a month and 20% had to be hospitalized. 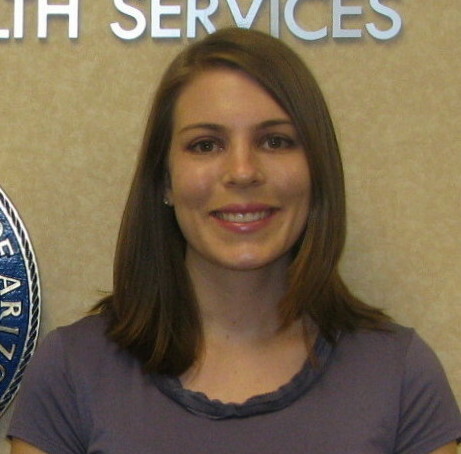 Our staff in the Office of Infectious Diseases monitors rates of Valley Fever in Arizona and carries out investigations to better understand the disease. 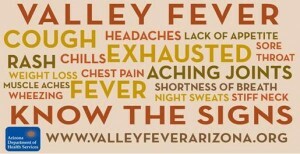 Check out our new website, www.valleyfeverarizona.org, for more information.